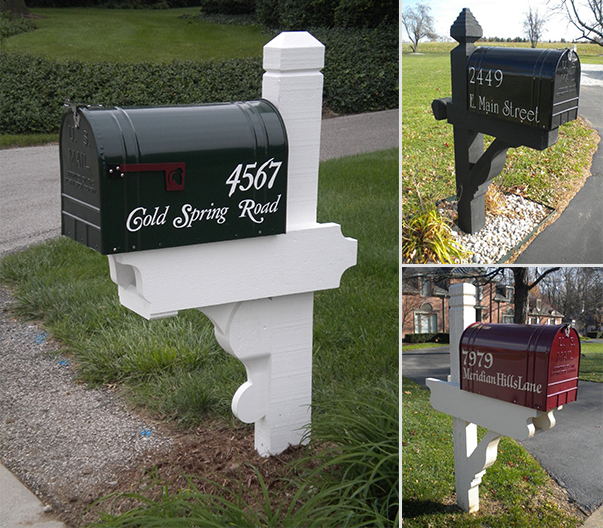 Why just have an ordinary mail box when Address Art puts color, style and quality right in front of your home, or business. 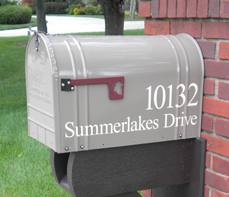 With rugged construction, a highly durable finish, and unmistakable design, an Address Art mail box adds value to your home, welcoming visitors and family members with quite a distinctive presence. We can also create custom designs for your home and business. It’s that simple touch of elegance. That proud feeling of identification which says “this is my home.” It’s raising the “flag” with the laser-cut leaf design discretely whispering uniqueness. And it’s the stainless steel latches with the “Address Art” symbol echoing distinction. It’s the Address Art mailbox… always striving to perfect a highly functional asset to accentuate your home. Call toll-free (888) 900-1508 to talk to our staff or use our online form to request a quote.